OLYMPIA, Washington, November 4, 2013 (ENS) – With one day before the election in Washington State, grassroots organization Food Democracy Now! is urging its 650,000 members and citizens everywhere to make calls urging voters to support Yes on 522, a ballot initiative that would require labeling of foods containing genetically modified organisms. Initiative 522 is a measure before Washington voters on the November 5 ballot, requiring mandatory labeling of genetically engineered foods, seeds and seed products. These are foods that have genes from a different species inserted into their DNA, like a corn plant with genes from a bacterium. Polls have shows that a majority of Washingtonians support the ballot initiative. If voters back the measure, Washington would be the first state to require GMO labeling with no strings attached. Washington State Attorney General Bob Ferguson filed suit against the Grocery Manufacturers Association in Thurston County Superior Court on October 16, alleging that the GMA violated the state’s campaign disclosure laws when it collected and contributed more than $7 million to the “No on 522” campaign while shielding the identities of the companies donating that money. The Attorney General demanded that the Grocery Manufacturers Association immediately comply with Washington law by registering as a political committee and filing the required disclosure reports listing its donors and amounts contributed. In the lawsuit, he requested the court find the GMA in violation of the law, set an appropriate penalty for the GMA’s failure to comply with state disclosure laws, and order the GMA to pay the state’s attorneys’ fees and other related costs. In response to the lawsuit, the GMA registered its political committee – Grocery Manufacturers Assn. Against I-522 – with the Public Disclosure Commission on October 18. The Grocery Manufacturers Association also produced information related to a portion of its members’ contributions on that day. The GMA filed additional reports disclosing more of its members’ contributions on October 25 and 26. Lists of donors and the amounts they contributed can be found on the PDC website, here. Still, Attorney General Ferguson is continuing with the state’s lawsuit. 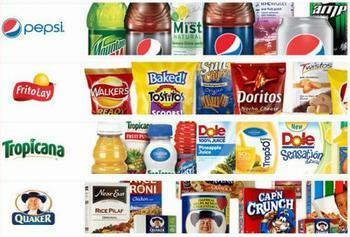 The largest donor to the “No on 522” campaign is Pepsico, with what the company calls its “22 iconic, billion-dollar brands.” Pepsico is followed by Nestle, Coca-Cola, General Mills, Conagra, Campbell Soup, Hersey’s and many others. “GM technology adds desirable traits from nature, without introducing anything unnatural or using chemicals, so that food is more plentiful,” the grocery manufacturers state. “If the ingredient label on any food or beverage product contains corn or soy, they most likely contain genetically modified ingredients, as a very high percentage of those crops grown in the U.S. use GM technology. In addition, a high percentage of other ingredients in the U.S., such as sugar beets, are grown with the use of GM technology as well,” according to the GMA statement. “Many of the most influential regulatory agencies and organizations that study the safety of the food supply, including the U.S. Food & Drug Administration, the American Medical Association, the World Health Organization, Health Canada, the U.S. Department of Agriculture and the National Academy of Sciences, have found genetically modified food ingredients are safe and there are no negative health effects associated with their use,” says the GMA. But Murphy and many other Washingtonians disagree. At the very least they want to know what their food contains. In the United States it is legal to label food products “natural” even if they contain genetically modified ingredients. GMOs are banned or restricted in 30 other countries around the world, including Australia, Japan and all of the nations in the European Union. In the United States, however, consumers are not given GMO warning labels so they can decide for themselves if a risk exists and whether they are willing to accept it. 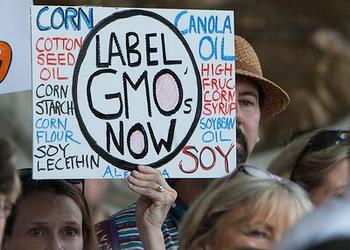 Over 90 percent of Americans say they want GMO labeling. Some states, like Vermont, Maine, and New Hampshire, are considering bills to require labeling of genetically modified foods. Connecticut has already passed such a bill – the first state in the United States to do so. Washington is letting voters decide.